CLICK ON EACH THUMBNAIL TO ENLARGE, THEN HIT 'BACK' ON YOUR BROWSER TO RETURN TO THIS PAGE. ALTERNATIVELY, RIGHT CLICK ON THUMBNAIL AND SELECT 'OPEN IN NEW WINDOW' TO CONTINUE VIEWING THIS PAGE UNINTERRUPTED. 1. 5/1/83 Agra. 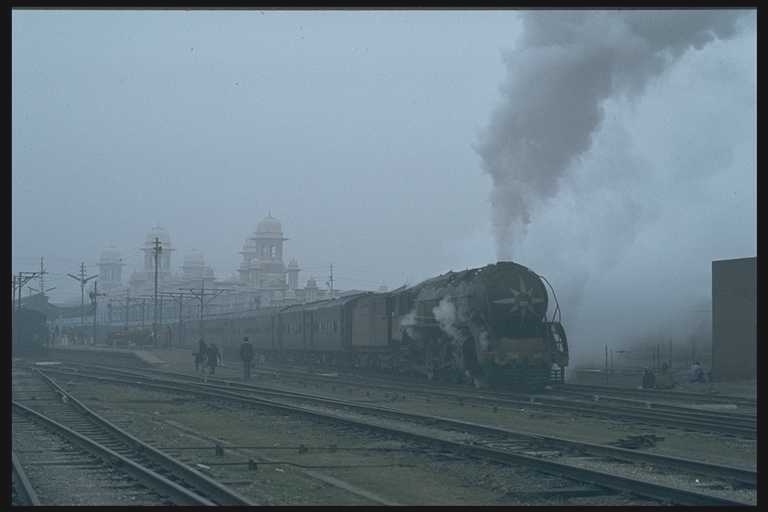 A decorated YP appears out of the morning mist having struggled up the steep grade from Agra Fort to Idgah, working no 7 f.p. to Jodhpur. 2. 5/1/83 Agra Fort. N.E.R. 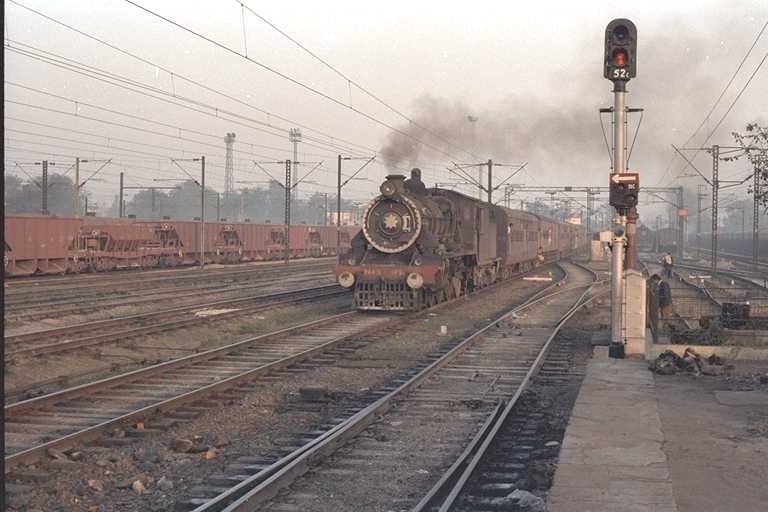 YP 2438 departs with the Lucknow Express, note the smoke ring. Agra Fort was one of my favourite railway spots, with broad and metre gauge and locos from three zones to be seen. 3. 6/1/83. Lucknow, a cold spell was sweeping down extending from the north of India to Patna in the east. For the homeless without warm clothes temporary relief could be found by warming the hands against hot parts of stationary steam locos. Many people died from the cold. 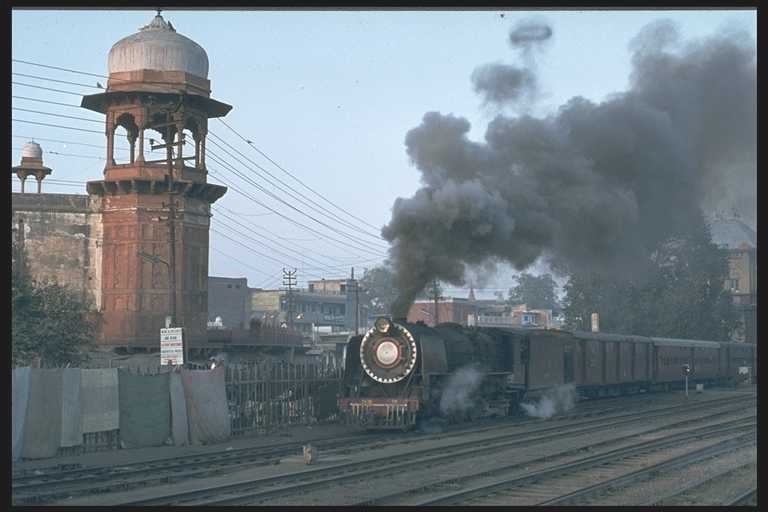 WP 7298, is seen departing on 352 express, a steam run from Saharanpur to Allahabad which used 3 locos to cover the journey. 4. 7/1/83. Allahabad. By now the HPS2s were down to the last small batch of survivors, the rapid spread of diesels and electrics had released hundreds of WP/G types and the days of the other classes were numbered. HPS2 24431 clatters into Allahabad on a local from Kanpur, all trains were running late due to the fog. 5. 9-1-83 Futwah (Fatuha). 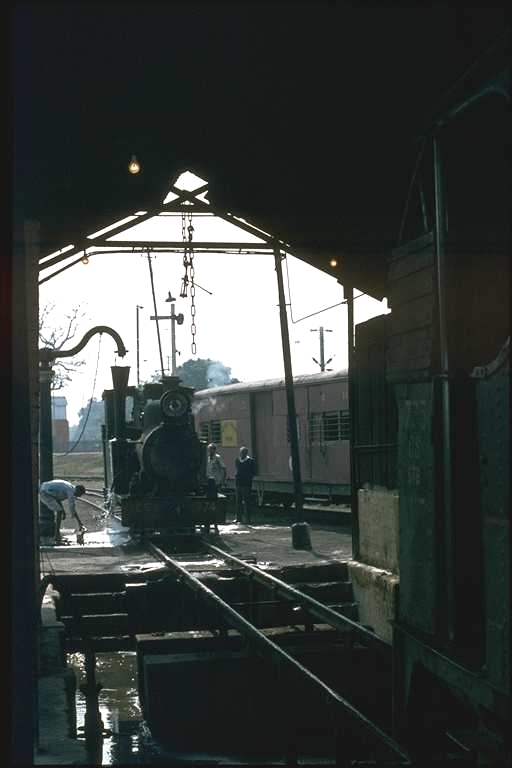 Futwah (or Futwa as referred to in some books) was located on the Patna - Asansol line, it was the home of a narrow gauge line operated by the Martin Burn organization, it struggled on in the 80s. The day I arrived I found the afternoon service cancelled and only the morning train had been operated. I did have a pleasant afternoon talking to the staff and looking around the shed. The photo shows Loco no 3 and some carriages. 6. Signs of change? 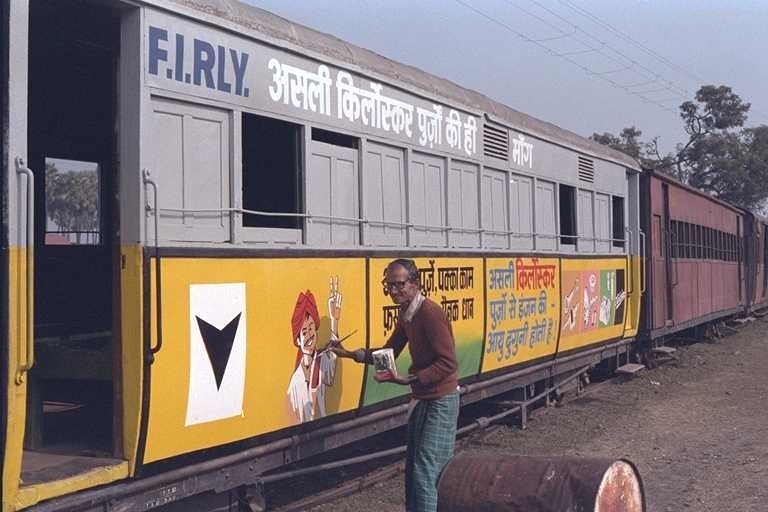 A signwriter was busy working on a narrow gauge carriage, the system was eventually incorporated into the E.R...and promptly closed! 7. 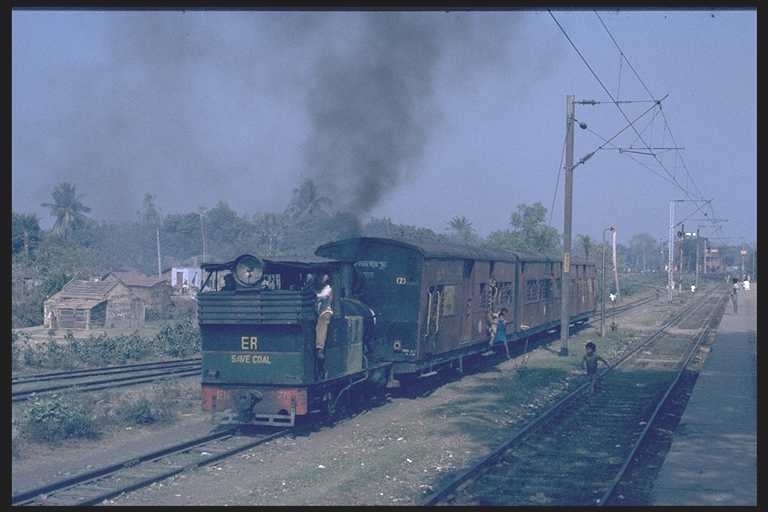 12/1/83 The Shantipur narrow gauge line had a diesel railcar set by the early 80s, thankfully for the steam fans it was unreliable and steam held sway, well the little trains certainly swayed on the uneven tracks! 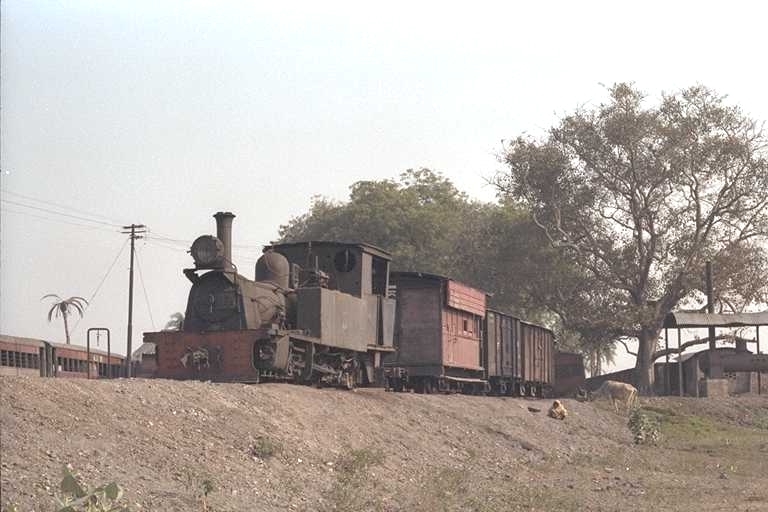 CS 776 a tiny 2-4-0T built by Bagnall in 1935 approaches Khrishnagar station. 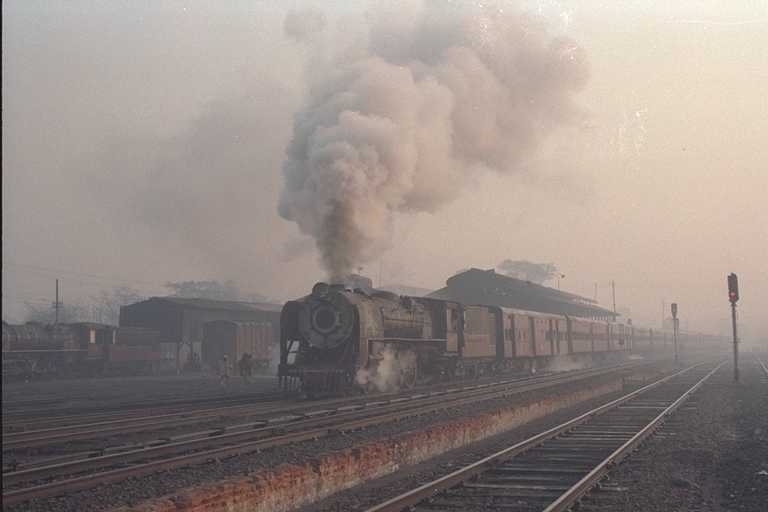 8 12/1/83 Shantipur shed: conditions were similar to many steam sheds around the world - primative! Shed staff worked in appalling conditions, but would often be keen to talk about the pride they took in maintaing the engines.